Pip is normally installed with Python. If it hasn’t been, download the installer script get-pip.py and save it locally – right click and Save link as… or equivalent. For either install, just follow the defaults – no special configurations required. Please note that RabbitMQ requires that Erlang is installed first, as described in the above links. Numpy is required for charts. For production use, you will need to install and configure a database. We strongly recommend PostgreSQL, but you can use any of the databases listed on the Django website such as MySQL, Oracle or MS SQL Server, with the limitations listed there. There is one additional limitation - the calculation of median values for charts in OpenREM is dependent on using PostgreSQL. If this is your first time installing OpenREM and you just want to test it out, you can skip this step and make use of the in-built SQLite database. However, you should expect to start again when you move to a production grade database. To have modalities send DICOM objects to your OpenREM server, or to use query-retrieve from a PACS, you need to install a DICOM Store service. For testing, you can make use of the DICOM Store OpenREM can provide. However, because this is not stable over longer periods of time we recommend using a third-party DICOM Store service. You can use any one you like, as long as it can be scripted to call OpenREM scripts when DICOM objects are received. We recommend Orthanc or Conquest for this and provide details of how to configure them in the Third-party DICOM Stores section. Configuration instructions can be found in the Third-party DICOM Stores section. Install using the instructions included in the download - there is a PDF with Windows install instructions and general usage instructions, and another PDF with Linux install instructions. The guides in Third-party DICOM Stores should be consulted when making configuration decisions. Unlike with the database, it is possible to change DICOM Store service at a later point. For more information see For CT dose summary files from older Toshiba CT scanners. The locations of these executables needs to be configured in the local_settings.py - see Toshiba CT RDSR creation. You are now ready to install OpenREM, so go to the Installing OpenREM docs. 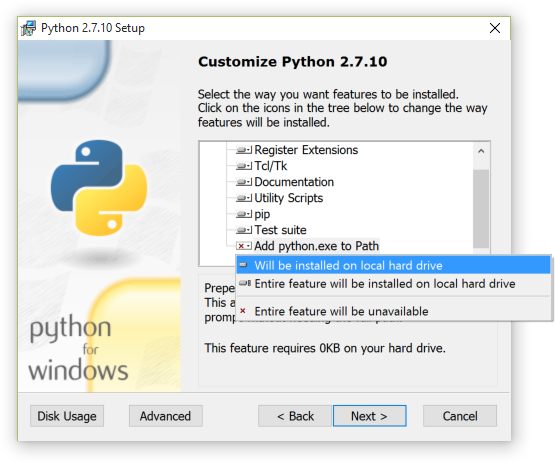 Virtualenv sets up an isolated python environment and is relatively easy to use. In Windows, even when the virtualenv is activated you will need to call python and provide the full path to script in the Scripts folder. If you call the script (such as openrem_rdsr.py ) without prefixing it with python , the system wide Python will be used instead. This doesn’t apply to Linux, where once activated, the scripts can be called without a python prefix from anywhere. You can now go straight to the Configuration. © Copyright 2013-2018, The Royal Marsden NHS Foundation Trust. Revision 012c6cac.